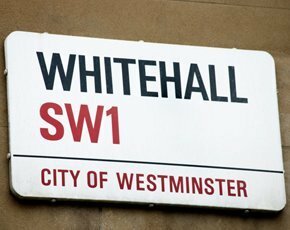 The Government Digital Service (GDS) has hinted at a new approach to meet Whitehall’s government-as-a-platform goals. The GDS annual report stated that, over the next six months, the team will work closely with departments and agencies to identity the priority platforms to develop in an open format and share with other departments. Government believes the development of common, shared technology platforms services – known as "government as a platform" – will help to build redesigned digital services. The government has already proved that this open architecture approach works, by moving departments, agencies and arm’s length bodies over to the Gov.uk single online domain for government information and services. An example of this is the Ministry of Justice developing a simple transaction for prison visit bookings. The service was not designed independently of other departments, and the back-end code can be used to create an underlying platform for booking anything for any public service – jobcentre appointments, for example, or driving tests. “One of the pieces of utility they came up with was a booking application. Now, when you want to book something else, we have that common component and booking in government should look like that,” added Bracken. In November 2012, the GDS was formed to encourage government to become more digital, to save money and provide cleaner, slicker digital services to the public. The government has calculated that on average an online service is 20 times cheaper than a phone transaction, 30 times cheaper than by post and 50 times cheaper than face-to-face. Just over a month away from its two-year deadline to digitally transform 25 of the most commonly used public services, the report also stated that 20 of the exemplars will be publicly available in live or public beta by the end of March 2015. While the Home Office (HO), Department for Work and Pensions (DWP), HM Revenue & Customs (HMRC) and Department for Business, Innovation and Skills (BIS) will continue work on the remaining five exemplars. But GDS’s remit was more than just the 25 exemplars, and it has managed to encourage departments including HMRC, DVLA and the Ministry of Justice embrace digital and develop services in-house. The DVLA has made strides with digital services through renewing tax online, abolishing the paper tax disc and other digital services, while it has also launched a startup incubator in Swansea to take advantage of the blossoming tech ecosystem.